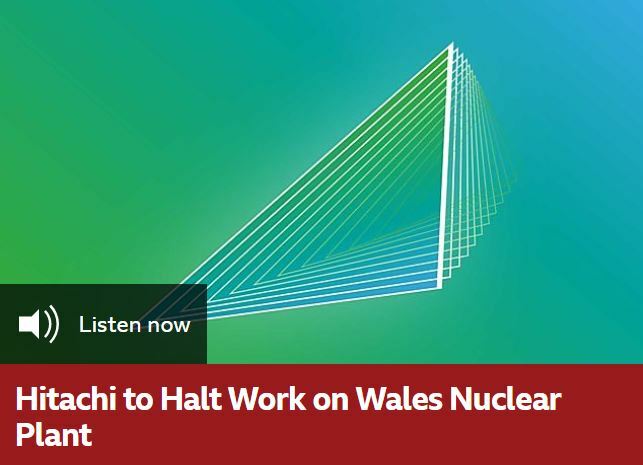 Japan’s Hitachi is to halt work on a nuclear plant in Wales amid rising cost concerns. Tom Burke is chairman of the environmental research group E3G, and a former UK government advisor on energy policy, and tells us why the company is pulling out. Also in the programme, ahead of movie streaming service Netflix’s latest financial results, Tom Harrington at the media research firm Enders tells us what’s likely to emerge. Almost four weeks into the partial US government shutdown, our regular economic commentator Diane Brady discusses the growing economic impact. We have a report from China looking at how the government is managing an economic slowdown. Plus we meet the founders of Japanese firm Exit, which provides resignation letters and phone calls for people too afraid to resign in person.